My guess is that more than one company has experienced the loss of customers for reasons other than superior business acumen. Potential customer calls weren’t returned. Services didn’t meet needs, products were inferior. Customers’ expectations weren’t managed. What was said to them wasn’t what happened. It doesn’t end there. 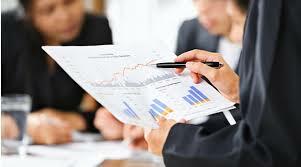 How many businesses never establish a process for “business” review- whether strategic or tactical and financial. Owners, Shareholders, Partners and/or Board Members don’t know how much is spent for what, when and why. Until, of course, it matters. How many companies dissolve due to disagreement or misunderstanding over the future direction? The discussion herein attempts to give the reader a high level sense of how to think about organizational excellence. And, while there will be naysayers who argue that these are overly complex, inapplicable or impractical concepts for implementation in the average business, I will argue that it is precisely the average company which can benefit most. For it tends to be smaller, less complex and more agile. Nonetheless the principles outlined will benefit even the largest companies. Arguably and admittedly they may require a bit more time and nurturing. There are a number of factors, attention to which should be paid, if one believes that businesses are dynamic, living, breathing organisms which can improve themselves and thrive even in the worst of times. These are the factors which, if present and successfully executed, will assure a high quality and high performance organization. This involves the establishment of the positions, people, expectations and accountabilities for running the place. It is about understanding (strategically) the environment, planning effectively, establishing operational plans and deploying those plans within the organization-horizontally and vertically. It requires the establishment and maintenance of efficient and effective processes for such execution. Does a strategic plan exist? How is it performed? What is included? Who participates in development? How often is it revisited? 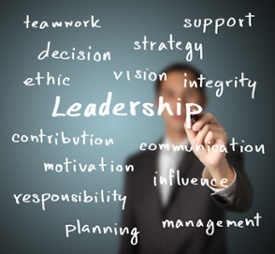 Leadership should understand and anticipate the external environment. It must have a handle on the company’s strategic advantages and challenges. The present and future economic, regulatory and/or technological challenges should be assessed. These must be incorporated into the strategic plan. Leadership should revisit the company’s stated purpose and standards/norms (MVV: Mission/Vision/Values). Requirements of customers, partners, collaborators, employees or other stakeholders should be balanced and incorporated, as appropriate. Often overlooked, though the primary driver of repeat and new business is the customer. Does the company have a process for determining the needs of its customers? How does it meet and exceed those needs and expectations? Does it do this better than “the competition?” How are customer relationships established and nurtured? How does the company position and brand itself? Is it managed or left to manage itself? How does the company plan to gain more exposure? 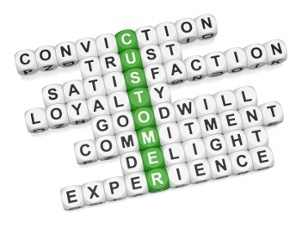 How do those who interact with the customer affect the customer satisfaction levels? Try asking these questions to an owner of a small business or managing partner and watch the expression on his/her face. Are these traditional? No. Are they commonly practiced? No. The “people” cost is usually the highest of all expenses incurred within a company. Direct and Indirect. This is the fourth factor. It isn’t unusual for Human Resources to consume the bulk of expense for most companies. What is interesting is how this is often the least managed expense of all. How is work designed? What are the systems for performance excellence and accountability? How do reward and recognition systems support and reinforce the meeting of customer goals? How do employees, partners, associates or other stakeholders know and measure their progress toward meeting goals? How does the company perform succession planning? What are the systems, including training/education, that ensure the capability of the workforce to meet the organizations’ goals? How does the company approach matching the capacity of the workforce to meet the needs of the work? I now apologize in advance, this gets a bit tedious. Work is accomplished through executing a sequence or series of steps. One after the other. This is a process. It has a beginning point and an end point. Two questions should always be asked of a process: How can it be accomplished more efficiently? How can it be accomplished more effectively? 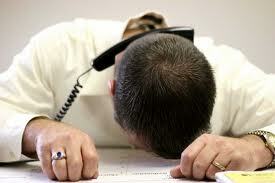 The process of answering the phone may be used as an example of a process. So…an office has a receptionist. The phone rings. It is answered. Once conversation is over the phone is hung up. Three steps, right? Well, it’s really not that simple. What is the process if she/he doesn’t hear the ring? How does she/he determine when not to answer? It is answered within how many rings? How is it supposed to be answered? What is the script once answered? While this example may sound trivial, it is anything but. My partner tells a story of a company which spent 6 figures on an advertising campaign. It wasn’t working. The owners were angry. My buddy gave them the numbers to show the significant increase in phone calls to the business. The receptionist was “dropping” the calls. They had no idea. There was no process in place to measure and/or monitor that particular process. A pretty vital process it turns out. All that money wasted. These are the small things. Some will argue that if one can’t get the small things right, how is he going to get the big things right? Now apply this thinking to everything that is core and important to your organization. What is the process for…? How do we accomplish…? How do we communicate…? How do we deploy…? This is hands-down the hardest thing for companies to do. We think about results. We think about getting things done. We don’t get bogged down in the details of “how” it is done. And while many a company will make the very good argument that accomplishment is enough, I will make an argument that a company that believes what it is currently doing is enough is an organization which is now losing (or will eventually lose) existing and/or potential business. And it will be lost to the organization which knows enough is not enough. The time for improvement is always best when you don’t have to do it. 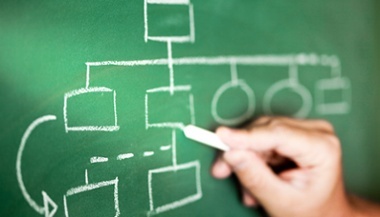 Have the core organizational processes been identified? How? Who participates? What are they? How are they measured and monitored for effectiveness? How are they improved? How does customer/stakeholder feedback impact the design of processes? The implementation of the methodology, alignment and processes above will pay dividends for years to come. The investment in time learning how to apply these factors creates, in the leadership team, a thought process which refuses to accept mediocre or average. The payoff is not exclusively a good feeling about the organization. The results-financial, customer satisfaction, quality, employee satisfaction and market will improve. Red Crow Marketing can assist your firm. We diagnose organizational problems and recommend solutions. We can train and/or help you diagnose and/or implement quality systems. Contact us here or give us a call at (417) 889-1658 today.